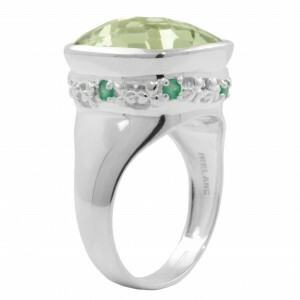 Peridot is a stunning gemstone, at JMH Jewellery we just love working with it. 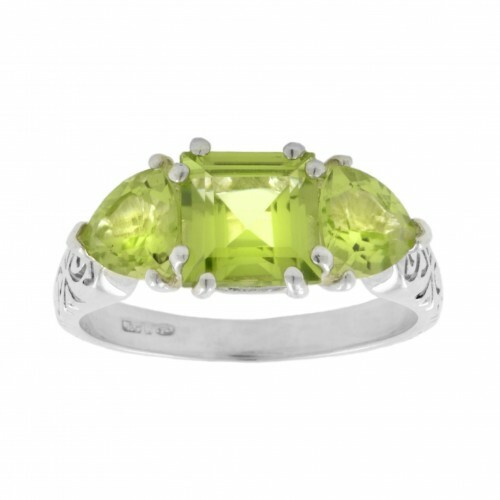 Here we have selected 2 trillion cut peridots to cradle a square cut peridot, giving a splash of the most vibrant green that just mesmerises. The shank of the ring features trinity knots, symbolising everlasting love and everlasting life. 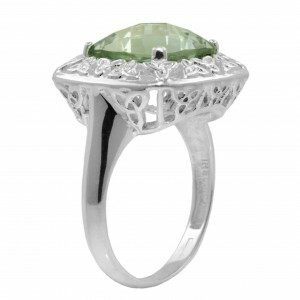 The contast of the warm green colour with the ice cool silver is beautiful. 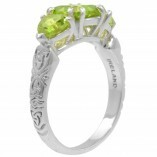 This is a fabulous ring.